#113 Frank Frog, 4 1/2′ H x 7″ L x 7 1/4″W (4 1/2 lbs. ), #147 Mini toad, 2 1/4″ H x 3″ L x 2 3/4″ W (1.5 lb. ), #404 Piggyback Frogs, 3 1/4″ H x 4 1/4″ L x 3 1/2″ W (1 1/2 lbs.) 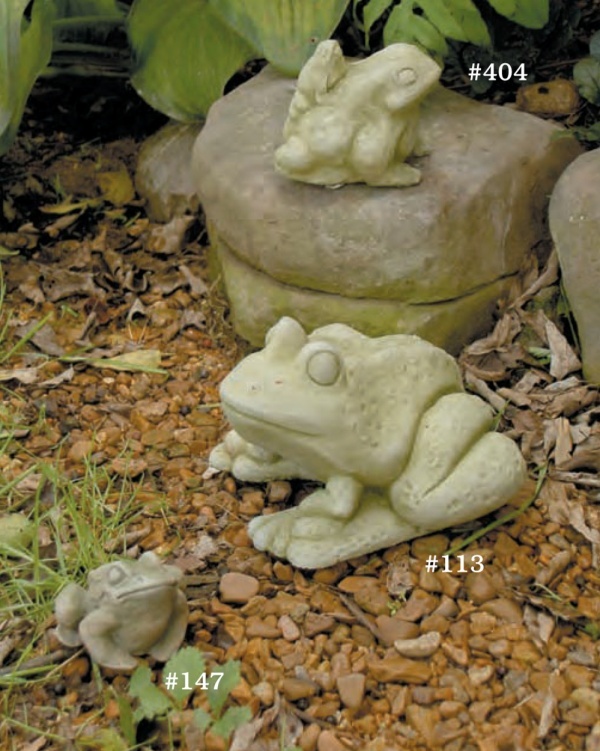 A much loved, clever little Victorian frog duo to add interest to the garden or pond edge.